Paul Kerbel teaches the Binds he uses in his Freestyle. 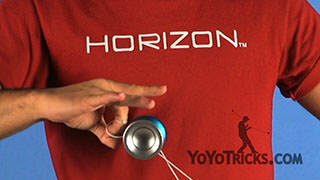 Freestyle Binds Yoyo TrickIn this video I am going to teach you some of the binds I use in my freestyle. For example, the Neck Bind. I also use the Flick Bind, for example, or the Talon Grind. We are going to start with the Flick one. The first step you need to know is how to place the yoyo, grind, and it should be under the string, in order to be able to perform a backspin bind like this one. 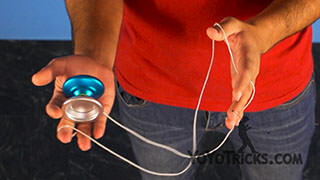 So when the yoyo is on there you have to push the yoyo against the string so it binds. 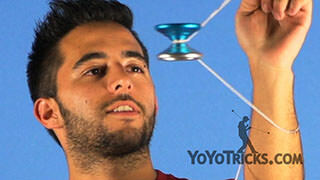 To do this, you can push the yoyo against the string so the string is under the yoyo and it can bind. 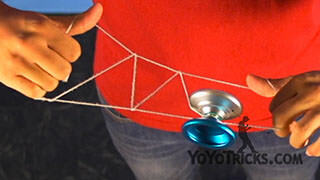 Also, you can slap the string so you make it go under the yoyo and bind the yoyo. Now to make the Flick Bind, you want to push the yoyo by flicking your finger and not just hitting the yoyo, so you move it enough to make the bind happen. 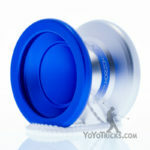 Now you want the yoyo to reach its peak and just when it touches you want to flick it, so it looks like this. 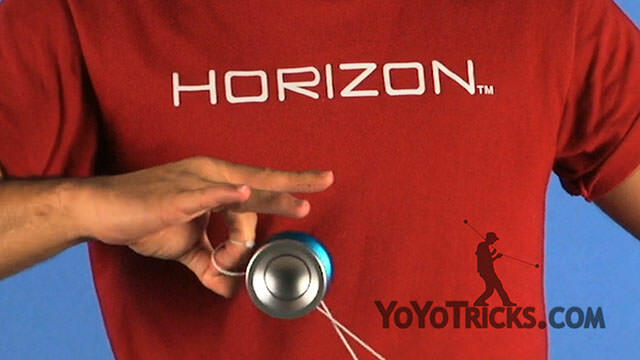 In order to perform the Talon Bind, you need to throw a breakaway, do a trapeze and with your yoyo hand, pinch the string with your pinky finger and ring finger like this. 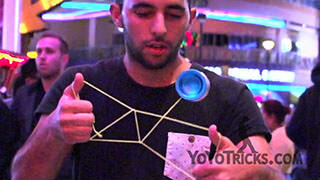 Then place the yoyo under the string and make it grind. After making the grind, you have to perform the Talon grind with your opposite hand, then you will pass it the grind to your yoyo hand and this will create the slack right here. 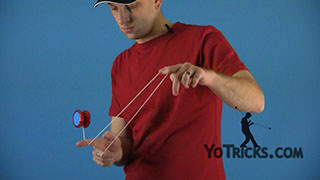 So after creating the slack you will pull the string down so you make the yoyo wind up and before the yoyo touches your opposite hand you will stop the yoyo and place it on top of the string making a trapeze shape, and then you will regen the spin by popping out the yoyo. So after this you can even make a front style combo and then bind it with a front style bind. To perform the Talon Bind, make sure you do all the steps fast enough so you do not run out of spin. To perform the neck bind you have to throw a front style throw and put the string over your neck and face down so this way we will make a Trapeze and Brother shape with our neck in-between. 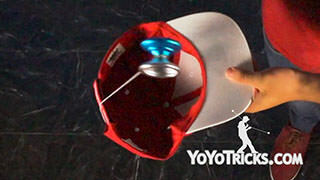 Now we can drop the opposite hand and pop out the yoyo, as we pop out the yoyo we have to make a hook with our index yoyo hand finger and we will make the yoyo go all the way around our head so it can land on the string. Before dropping this you have to spread your yoyo hand so you make this trapeze shape which is the one we need to make it a trapeze front style bind. 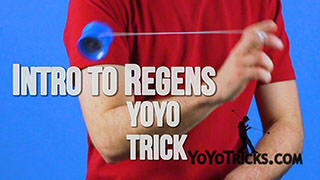 Make sure you keep the yoyo in the same plane the whole so the yoyo can land on the string. If you want to perform the full neck bind, you should throw a breakaway and then regen the yoyo and as the yoyo is swinging to the trapeze and brother motion. You should turn around put the back of your neck in between, as to point the trapeze and brother, you should be already facing forward again and then you can perform the bind and this are three of my favorite binds that I do in my Freestyle. There are many variations of regens you can do to get into the neck bind as long as you start with a breakaway. For example the one I did earlier, you can even do a stall regen, even a flick regen, they all work the same as long as you start with a breakaway.